Mitochondria: Where Do They Come From And Where Do They Take Us? Cells are the fundamental unit of plant and animal life on the planet earth. Eukaryotic cells contain sub-cellular compartments that execute distinct functions. This allows division of labor within a cell, much like that seen in human societies or in bee colonies. Mitochondria are semi-autonomous, double membrane-bound compartments famously known for their function as the powerhouse of the cell. DNA inside the nucleus is inherited in equal concentration from both our parents. In addition to the nuclear genetic material, each mitochondrion houses a small genome in multiple copies. Mitochondria are inherited from the mother in metazoan animals. Paternal mitochondria are degraded during sperm formation or fertilization. The mitochondrial genome makes proteins which collaborate with nuclear-encoded proteins in performing functions of energy generation. Healthy mitochondria are necessary for oocyte development and survival. Many mitochondrial diseases are caused in the offspring if the mother’s mitochondria are defective or have a defective genome . Mitochondria are thought to have originated from the evolution of a symbiotic relationship between bacteria and eukaryotes. The mitochondrial genome has signatures of the bacterial genome from the class Alphaproteobacteria. Mitochondria partly enabled aerobic metabolism in eukaryotic cells and are also now known to be important for several functions such as calcium buffering and cell survival . Mitochondria occur in various shapes and sizes inside the cell. Mitochondrial shape changes with fusion or fission. A dedicated set of large GTPase proteins function in fusing and fragmenting mitochondria. Longer mitochondria are found in the cell cycle when DNA replication is required. Long mitochondria usually show increased folds or cristae in the inner membrane and have a higher activity in terms of ATP generation. Small mitochondria are found in situations when there is abundant glucose. Fragmentation is also important for removing dysfunctional mitochondria from the cell and fusion is important for complementation of mutations that accumulate in the mitochondrial genome . Thus mitochondrial shape controls function in different contexts. Stem cell differentiation and embryogenesis show distinct changes in mitochondrial shapes. Metazoan embryos and stem cells have sparse and fragmented mitochondria. An elaborate network of mitochondria is seen in differentiated cells. Also, when proteins controlling mitochondrial shape are depleted from mouse embryos, they die during development. 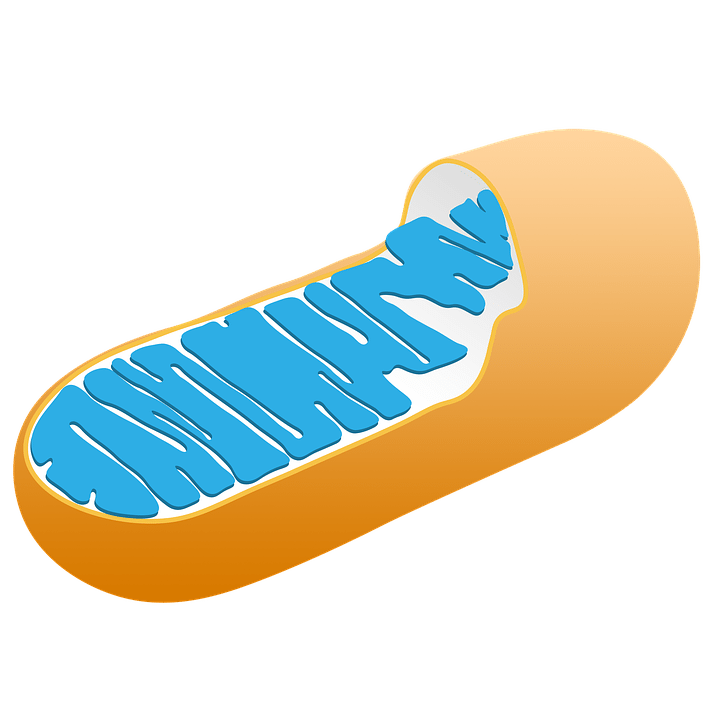 Hence mitochondrial shape must be controlling important stages of development and differentiation and it is of interest to understand the mechanism by which this control operates in organisms. Cancer cells have an altered metabolism and this could occur from a change in mitochondrial shape in some cases [5,6]. Recent studies have set out to ask the question of the mechanism by which mitochondrial morphology is likely to control development by using a variety of model organisms. The Drosophila oocyte development or oogenesis forms an interesting model system to study mitochondrial inheritance, and the regulation of mitochondrial metabolism during development [7-12]. Further, the effects of mitochondrial shape mutants on oocyte development and differentiation can be probed in this system [13,14]. The developing oocyte needs two kinds of support cells: nurse cells and epithelial follicle cells in Drosophila. Nurse cells are connected to the oocyte via ring canals and provide nutrition and organelles to developing oocyte. Nurse cells transfer mitochondria to the oocyte. At the end of oocyte development, the mitochondrial density of the Drosophila oocyte increases so much so that it is equipped with mitochondria for approximately 15000 somatic cells. Epithelial follicle cells surround the developing oocyte and provide developmental cues to the oocyte. The follicle cells differentiate during distinct stages of oogenesis to encircle the oocyte and pattern the body axis of the future embryo. Differentiation of follicle cells occurs by the activation of signaling pathways such as the Epidermal growth factor and Notch signaling pathways. Follicle cell differentiation results in the patterning of the dorso-ventral and antero-posterior axis of the developing oocyte. Mitochondrial fusion and fission are regulated by Opa1-like, Marf, and Drp1 in Drosophila. In the Drosophila epithelial follicle cell differentiation, mitochondria are fragmented in cells located in regions containing high Epidermal growth factor signaling. When follicle cells mutant for the mitochondrial fission protein Dynamin-related protein 1 (Drp1) are generated in this region, mitochondria appear as a cluster on one side of the cell. Moreover, Epidermal growth factor and Notch signaling are lost as a result of which the follicle cells do not differentiate and the body axis of the embryo does not get patterned. Is mitochondrial activity or function altered by changing mitochondrial morphology in Drp1 mutant follicle cells? Is this change in mitochondrial function in clustered mitochondria sufficient to cause a loss in Epidermal growth factor and Notch signaling pathways? Mitochondria have a high membrane potential when present in a fused state in Drp1 mutant follicle cells. This increase in mitochondrial membrane potential does not correlate with an increase in energy generation in these mutants. However, this increase results in cytoplasmic retention of activated ERK, a signaling component of the Epidermal growth factor signaling cascade. Increased ERK controls the increase in mitochondrial membrane potential and defect in Notch signaling. Most remarkably, when the potential of fused mitochondria is alone disrupted by using mutants or drugs which block the electron transport chain, the Notch signaling defect is removed. Thus, decreased mitochondrial membrane potential is necessary for Notch driven differentiation of follicle cells and this is regulated by Epidermal growth factor signaling pathway. The Epidermal growth factor and Notch signaling pathway are deregulated in various cancers. It is possible that these pathways are altered by regulating mitochondrial membrane potential. It is known that in cancer cells, fragmented mitochondrial morphology is needed to drive Epidermal growth factor signaling. The Drosophila follicle cell and cancer cell data together invoke a role for mitochondrial morphology in differentiation and disease and provoke an analysis of mitochondrial morphology in conjunction with activity in these situations. How mitochondrial morphology and activity play a role in changing signaling pathways and controlling development and disease still remains an interesting question for scientists to discover in the future. Mitochondria thus seemingly journeyed their way into the eukaryotic cell, evolved to become an essential part of it and in addition to providing energy made the eukaryotic cell capable of traveling on the roads of differentiation. The eukaryotic cell has become a slave of this organelle for more reasons than just energy! These findings are described in the article entitled, ERK regulates mitochondrial membrane potential in fission deficient Drosophila follicle cells during differentiation, recently published in the journal Developmental Biology. This work was conducted by Darshika Tomer, Rohan Chippalkatti, and Richa Rikhy from the Indian Institute of Science Education and Research, and Kasturi Mitra from the University of Alabama at Birmingham. Gray MW. Mitochondrial evolution. Cold Spring Harb Perspect Biol. 2012 Sep 1;4(9):a011403. doi: 10.1101/cshperspect.a011403. PubMed PMID: 22952398; PubMed Central PMCID: PMC3428767. Ohta S. A multi-functional organelle mitochondrion is involved in cell death, proliferation and disease. Curr Med Chem. 2003 Dec;10(23):2485-94. PubMed PMID: 14529464. Mishra P, Chan DC. Metabolic regulation of mitochondrial dynamics. J Cell Biol. 2016 Feb 15;212(4):379-87. doi: 10.1083/jcb.201511036. Epub 2016 Feb 8. PubMed PMID: 26858267; PubMed Central PMCID: PMC4754720. Mitra K. Mitochondrial fission-fusion as an emerging key regulator of cell proliferation and differentiation. Bioessays. 2013 Nov;35(11):955-64. doi: 10.1002/bies.201300011. Epub 2013 Aug 14. PubMed PMID: 23943303. Chen H, Chan DC. Mitochondrial Dynamics in Regulating the Unique Phenotypes of Cancer and Stem Cells. Cell Metab. 2017 Jul 5;26(1):39-48. doi: 10.1016/j.cmet.2017.05.016. Epub 2017 Jun 22. PubMed PMID: 28648983; PubMed Central PMCID: PMC5539982. Cox RT, Spradling AC. Milton controls the early acquisition of mitochondria by Drosophila oocytes. Development. 2006 Sep;133(17):3371-7. Epub 2006 Aug 3. PubMed PMID: 16887820. Cox RT, Spradling AC. A Balbiani body and the fusome mediate mitochondrial inheritance during Drosophila oogenesis. Development. 2003 Apr;130(8):1579-90. PubMed PMID: 12620983. Sieber MH, Thomsen MB, Spradling AC. Electron Transport Chain Remodeling by GSK3 during Oogenesis Connects Nutrient State to Reproduction. Cell. 2016 Jan 28;164(3):420-32. doi: 10.1016/j.cell.2015.12.020. PubMed PMID: 26824655. Hurd TR, Herrmann B, Sauerwald J, Sanny J, Grosch M, Lehmann R. Long Oskar Controls Mitochondrial Inheritance in Drosophila melanogaster. Dev Cell. 2016 Dec 5;39(5):560-571. doi: 10.1016/j.devcel.2016.11.004. PubMed PMID: 27923120; PubMed Central PMCID: PMC5147492. Teixeira FK, Sanchez CG, Hurd TR, Seifert JR, Czech B, Preall JB, Hannon GJ, Lehmann R. ATP synthase promotes germ cell differentiation independent of oxidative phosphorylation. Nat Cell Biol. 2015 May;17(5):689-96. doi: 10.1038/ncb3165. Epub 2015 Apr 27. PubMed PMID: 25915123; PubMed Central PMCID:PMC4573567. Chowdhary S, Tomer D, Dubal D, Sambre D, Rikhy R. Analysis of mitochondrial organization and function in the Drosophila blastoderm embryo. Sci Rep. 2017 Jul 14;7(1):5502. doi: 10.1038/s41598-017-05679-1. PubMed PMID: 28710464; PubMed Central PMCID: PMC5511145. Tomer D, Chippalkatti R, Mitra K, Rikhy R. ERK regulates mitochondrial membrane potential in fission deficient Drosophila follicle cells during differentiation. Dev Biol. 2018 Feb 1;434(1):48-62. doi: 10.1016/j.ydbio.2017.11.009. Epub 2017 Nov 20. PubMed PMID: 29157562. Mitra K, Rikhy R, Lilly M, Lippincott-Schwartz J. DRP1-dependent mitochondrial fission initiates follicle cell differentiation during Drosophila oogenesis. J Cell Biol. 2012 May 14;197(4):487-97. doi: 10.1083/jcb.201110058. PubMed PMID: 22584906; PubMed Central PMCID: PMC3352947. Richa Rikhy is an associate professor of biology at the Indian Institute for Science Education and Research. Her research focuses on cancer biology, cell biology, and biological development, specifically the biology of cell differentiation.